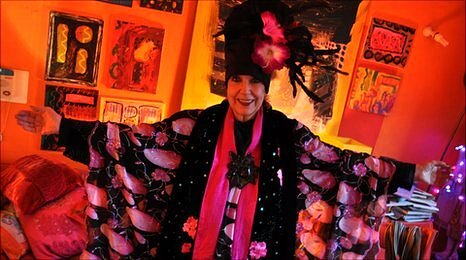 This February the notorious Molly Parkin celebrates her 80th birthday. 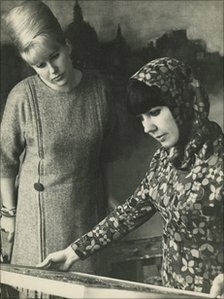 Her early life has been well documented, born in Wales, two marriages, two children, heaps of lovers and a career that has seen her explore life as an artist, a writer, editor and style icon. 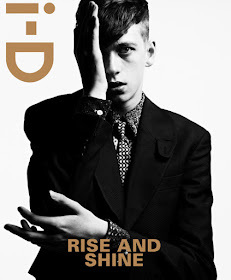 Moving to London during the 2nd World War with her family as a child aged 7 she suffered both violent and sexual abuse from her fascist father recently documented in her latest book 'Welcome To Mollywood'. 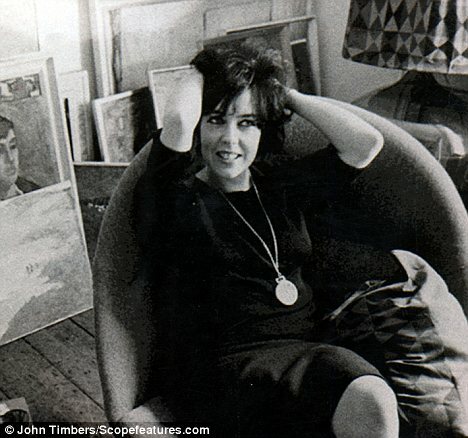 She then went on to gain a scholarship at Goldsmiths art college at 17 and began her life as a painter. She found herself a young woman of 22 and still a virgin, the damaged Molly married in 1957 but not before a stolen kiss with Louis Armstrong and her first love affair. By the 60's she divorced, gave up painting and became a fully fledged member of London Society of the time whilst painting and bringing up her family. Hanging out down the Colony Rooms with other artists and writers, developing a style that became her signature look and fast becoming a somewhat of a celebrity she lived life on the fast lane cramming in a myriad of challenging creative outlets. 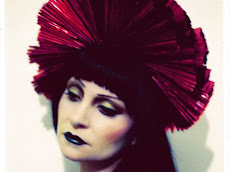 Working with Barbara Halanicki creating hats for Biba, running her own shop and entertaining at dinner parties. 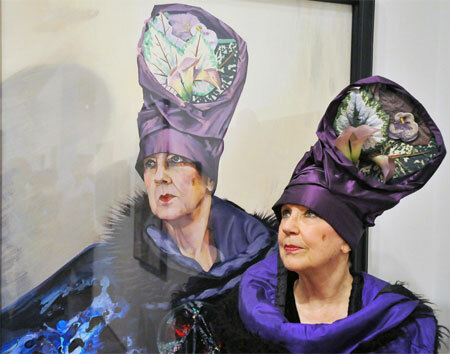 It seems Molly Parkin was a bit of a pioneer with her endevors, penning ten novels, poetry books, the fashion editor of Harpers & Queen, writing for Nova magazine and The Sunday Times, bringing up her two daughters - Sarah and Sophie and cavorting around town with her numerous lovers, Molly really is somewhat of a force. I first saw Molly in the late 70's as part of London's creative set, she was working her turban based creations and was swathed in luxuriant cloaks of swirling pattern and design. Her presence was larger than life, she turned up at drinking dens and social events mostly sloshed (I would imagine) her penchant for a tipple was well known. Nowadays she has given up the grog and the cavorting, nonetheless her presence today is just as engaging. In the 80's she was well established for her saucy and explicit novels and sense of style, she says she's a product of the Welsh valleys she originated from, her grandmother was her role model and alcoholism seems to run in her family. Molly went onto a second marriage in 1968 which ended in 1980. She may have got over the urges of her decadent youth, (she's been sober for 25 years), and worked through her demons but she still finds inspiration in dressing for any occasion. Her she is in her sheltered accommodation flat in Chelsea dressed up to the nines. The 90's saw her take up painting once again and in the past decade Molly Parkin has kept busy with her pursuits, involved with various events and of course dressing in her own inimitable style.